It's hot again here and as with almost every other British person at the moment, I'm uncomfortable. I also don't have the inclination to blast anything too fast or intense this evening, so I figured the debut full-length from Columbus, OH sludge/stoner band Weed Demon would do the trick. Weed Demon self-released their first EP "Stoned To Death" in late 2015. "Astrological Passages" followed in August of last year. It's been made available on all formats by the band and Electric Valley Records. They play with Planning For Burial in Columbus on July 27th, if you're in the area! 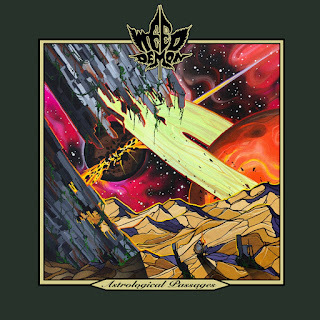 “Astrological Passages” contains everything you’d expect from a band called Weed Demon. Thick riffs, groove-laden bass, powerful percussion and low growling vox. Obviously, there’s no reinventing of the wheel going on during the title-track but the band does exhibit plenty of musical prowess and worship of the slow. Primordial Genocide promises something truly terrifying and that’s exactly what happens. 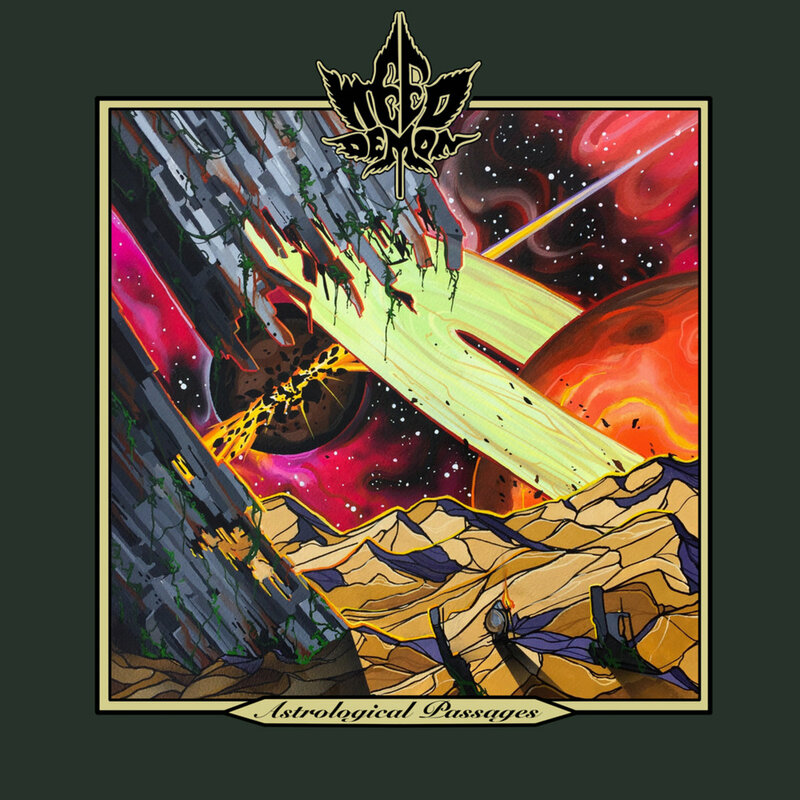 It’s silly heavy, though the subtle stoner groove and vocal variation make it sound fuller. They manage to carry off an instrumentally perfect mid-section to the song, with plenty of melodic, layered guitar-work. It’s quite hard to make a comparison between Weed Demon and other current bands of this ilk, which can only be a good thing. A haunting sample at the beginning of Sigil Of The Black Moon sets the tone for a song that’s equally as foreboding. It starts off in relatively sedate fashion (for Weed Demon, anyway) and builds in intensity. It’s one of two songs on “Astrological Passages” that weigh in at over ten-minutes in length and it’s mostly instrumental. Perfect for just sitting back and staring into space too, without being droning or monotone. Occult imagery and clean singing feature on Dominion Of Oblivion, which is apt really as it certainly sounds more otherworldly. Aside from that it’s also a complete rager, thanks to heaps of up-tempo urgency (which for a sludge band is going some!). Closing song Jettisoned is the most multi-layered number on “Astrological Passages” and the immediately awesome guitar work (that sounds like and may even be a harmonica) is brilliant. Again, it’s a huge slab of instrumental doom that takes you on a journey thats’s both unforgiving and cleansing. I don’t rely on chemicals or substances (aside from Alcohol) to alter my enjoyment of music like this and to be honest, after listening to “Astrological Passages” I don’t need to as it does that job for me. Weed Demon have done a phenomenal job here and should be heard by the many and not the few.